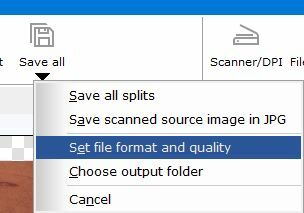 Click the small black triangle below the Save All button to access a popup menu letting you select the output file format. 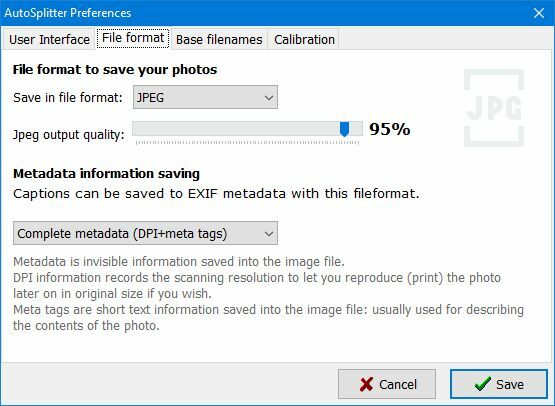 Choose the fileformat from the combobox. For JPEG you can also adjust quality. This information applies to version 1.6.0. It may be inaccurate for other versions.